The classic monogram comes to a bold, lovely new wedding accessory with this gorgeous (and so re-wearable!) 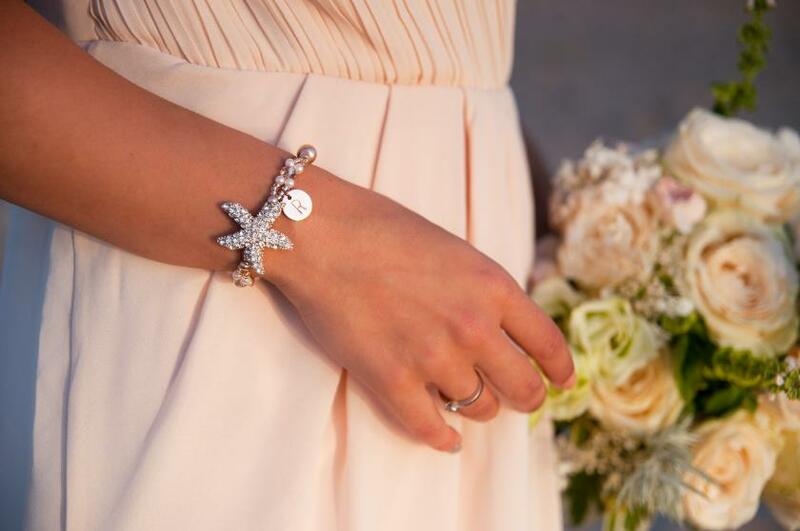 sea-star bracelet for bridesmaids – and for anyone who wants to add something elegant and chic to their beach, or occasion ensemble! 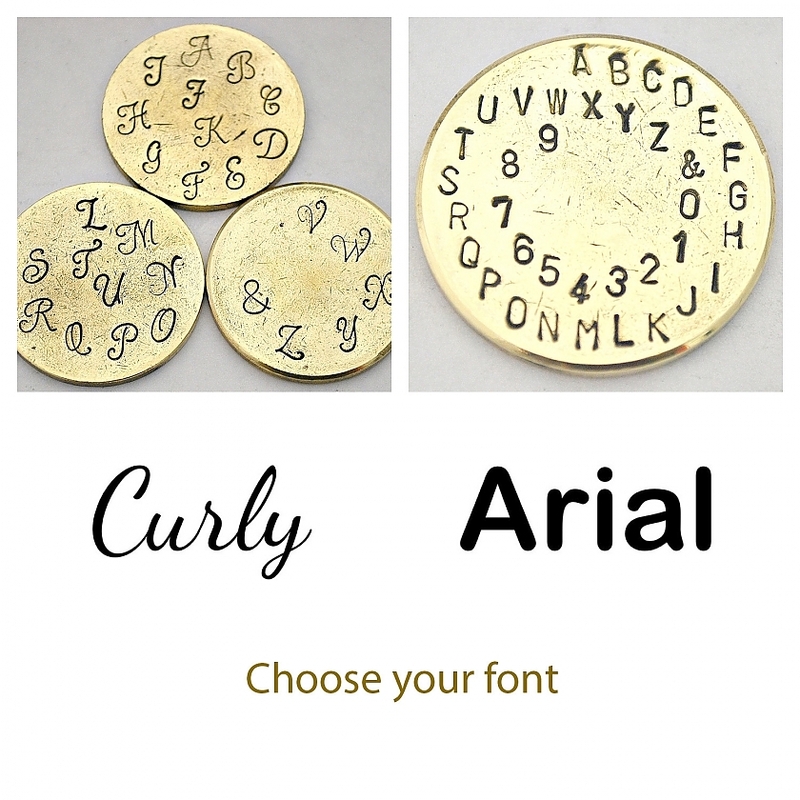 A rhinestone and rose gold design is luxurious and enchanting, while the small gold-filled letter charm (in your choice of two fonts!) 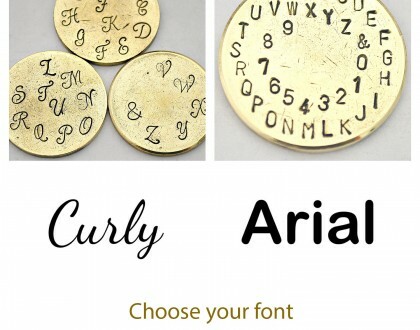 provides a personalized touch. 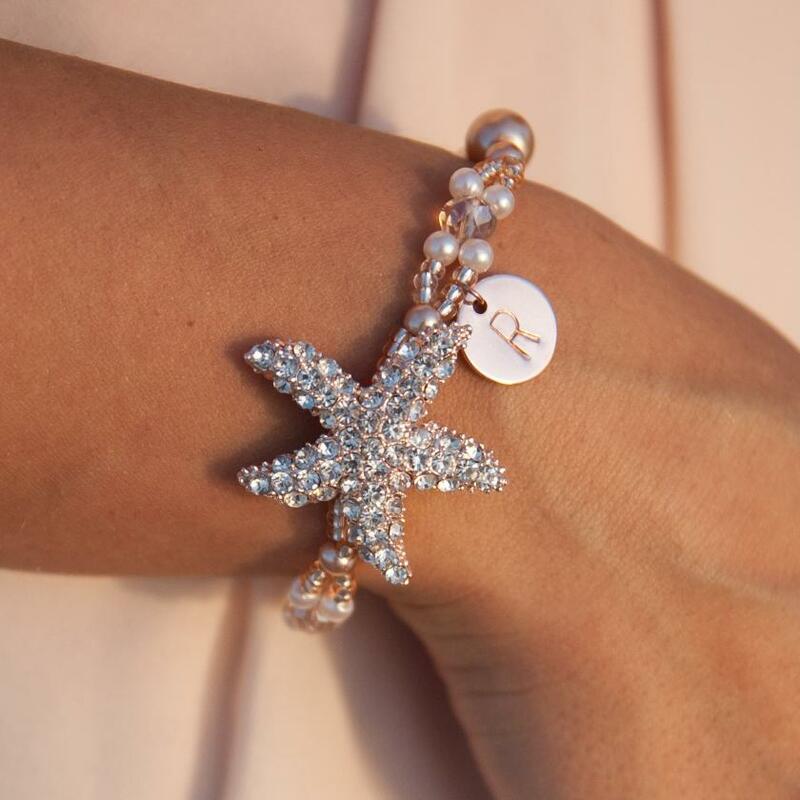 With a rhinestone starfish medallion resting at the center, this bracelet also features stylish Czech glass and glass pearls. 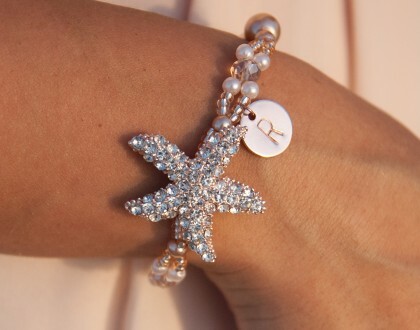 Each bracelet is hand-crafted with stretch cord for an effortless fit that’s comfortable to wear. You can choose your color from the drop down menu when placing the order. 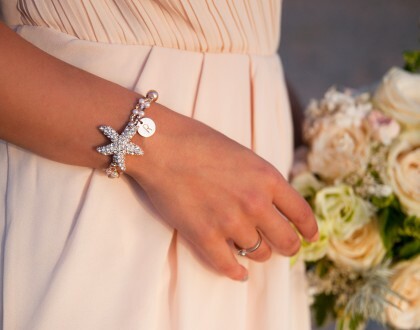 "One charm" and you will receive a bracelet with one charm with initial.